Imran Khan said unless there was a dialogue, various options on resolution of Kashmir cannot be discussed. Islamabad/New Delhi: Pakistan Prime Minister Imran Khan on Monday said war is not a solution to the Kashmir issue, which can be resolved through talks. In an interview to a group of television journalists in Islamabad, Imran Khan said unless there was a dialogue, various options on resolution of Kashmir cannot be discussed. 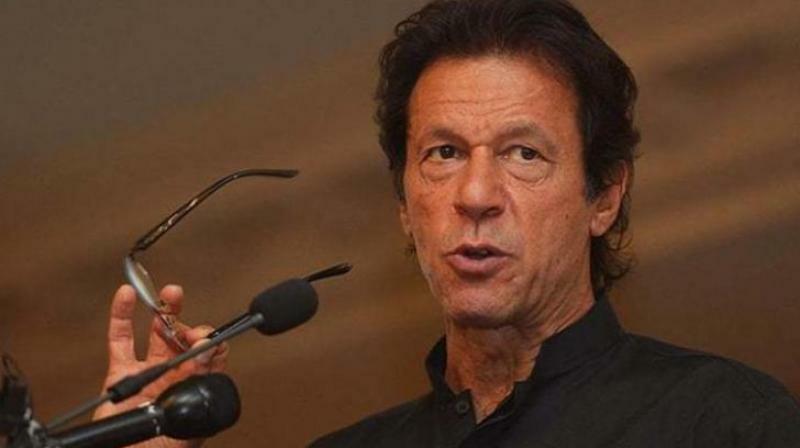 Imran Khan claimed he was informed by late prime minister Atal Bihari Vajpayee and former foreign minister Natwar Singh during a conference that Kashmir would have been resolved if the BJP had not lost the 2004 Lok Sabha elections. Asserting that Pakistan was serious to develop peaceful ties with all its neighbours, Imran Khan claimed India was not ready to hold talks with the country due to the upcoming general elections. Imran Khan said the Pakistan army and his government "are on the same page" and his decisions are "backed" by the military.